Fit everything you need for training and work with this Asics Core Sports Holdall in Pink. Whatever you need for your daily activities this bag will have you covered. 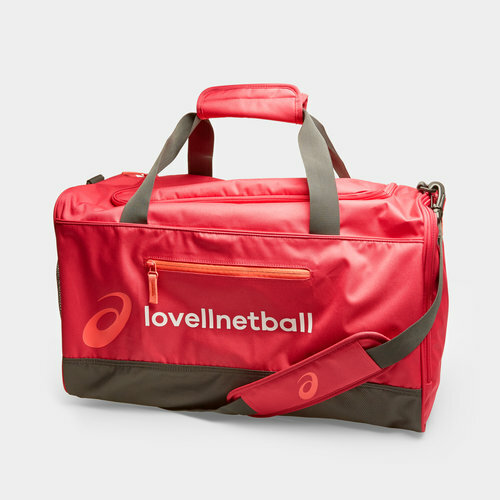 The main compartment offers up to 45 litres of space and kit whilst the base is durable and water-repellent meaning you can't take this bag whoever. The main compartment is zipped whilst the smaller pocket on the front for storing valuables is also zipped. It come with to smaller carry handles or a larger, adjustable, padded shoulder strap for comfortable wearing.